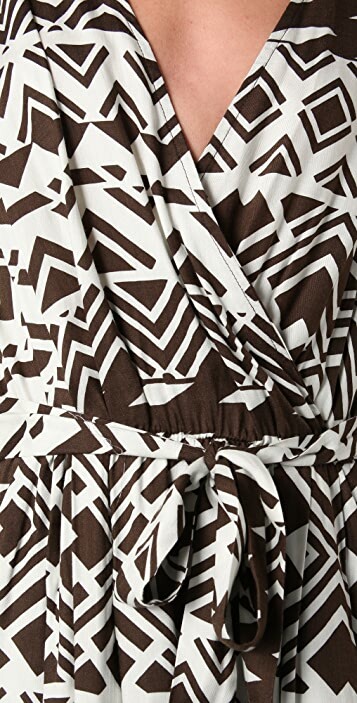 This print romper features a crossover V neck and a deep V back. Self-belt tie at gathered elastic waist. Slant hip pockets and exposed side zip. Ruched 1" straps. Double-layered at shorts.